ZÜCA April Shower Insert & Frame. Insert Includes matching Name Tag, while supplies last. 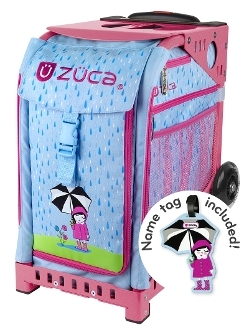 Turn your ZÜCA into a weekender bag! The optional Pro Packing Pouch Set includes five packing pouches of various sizes and a one quart TSA compliant toiletry bag to help you pack like a pro. The Pro Packing Pouch Set fits both the ZÜCA Pro and the ZÜCA Sport.